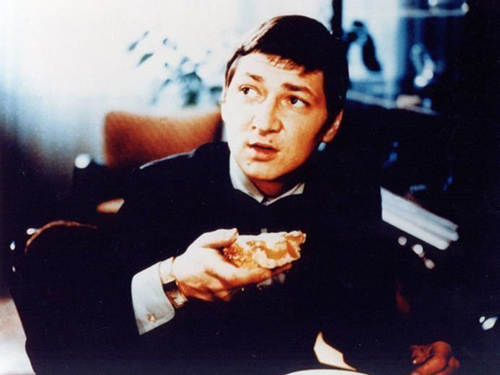 “Fassbinder’s second film, which became not only his first claim to fame and author status, but also gave him [...] valuable operating capital for years to come. Katzelmacher was liked, uniting the avantgarde critics (impressed by the disciplined formal experiments) and those who expected from the cinema a social message, for it commended itself by a prescient analysis of the Gastarbeiter problem, in addition to satirizing German petit-bourgeois ambitions and Bavarian complacencies. Katzelmacher’s avantgarde status was also based on the impression that Fassbinder was following Bertold Brecht’s anti-illusionist precepts. Organized into short tableau scenes, the images are curiously frozen and inert, doubly deprived of depth by Fassbinder’s head-on shots and static camera set-ups. When the camera does move, as in the lateral reverse tracking shots of the couples walking past a block of flats, a deliberately shallow space plays off the proscenium-stage against the illusionism of cinema. And yet, there is little evidence that a ‘model’ of social conflict is intended, in the manner of Brecht’s learning plays. Nor is Katzelmacher a filmed play, despite the fact that it derives from Fassbinder’s theatre-piece of the same title. 1. 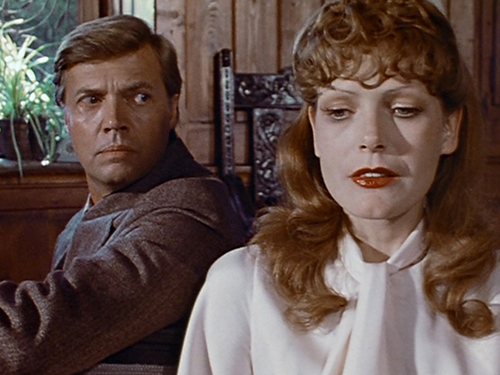 Thomas Elsaesser, Fassbinder’s Germany. History, Identity, Subject (Amsterdam: Amsterdam University Press, 1996), 45-46. 2. 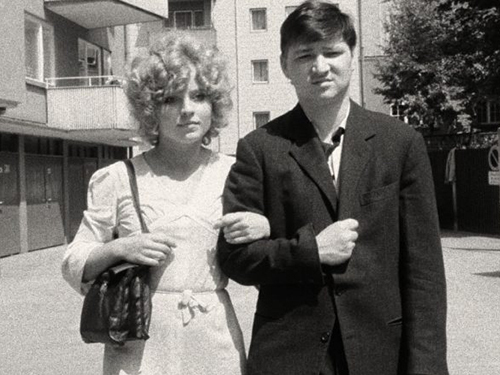 Michael Koresky, “Eclipse Series 39: Early Fassbinder,” The Criterion Collection, August 2013.